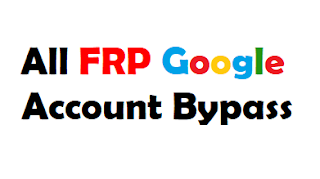 Google Account Manager Downoad app Free Google Account Removed Frp. Download All Latest Versions Google Account Manager, for Marshmallow, Nougat, lollipop, jellybean, ice cream sandwich. Hello Friends Google Account Manager Ke Jariye ap Android Mobile KaGoogle accoun (FRP) Unlock Kar sakte Hai. Wo Bhi Bilkul Free. bypass google account,how to,remove frp,lock, bina otg,working,pattern lock Removed ,format Successfull, gmail,frp lock,goole account lock,reset. Google Account Manager ke jariye FRP Remove kiya ja sakta hai. lekin apko pahale hi Warning kar teta ho agar Frp Accoun Remove karte Samay Apki Sari DaTa Delete Ho sakti Hai. As mentioned above, stock rom is the original rom. Now to download Stock Rome you can search different roms for all mobile phones on Google. I hope this post is very helpfull for you please please share with your friends on Whatsapp, Facebook. me apki Sahayta krne ke Liye Hamesa Taiyar hu .If you have any questions related to this post, please comment below.